(Newser) – Shrews have a bonkers and heretofore undiscovered ability that Gizmodo states sounds like "some cruel, recurring witch's curse" but that scientists say is most likely a survival mechanism. According to a study published Monday in Current Biology, the wild common shrew shrinks its skull—by up to 20%—during the winter before regrowing it in the spring. And that's not all. 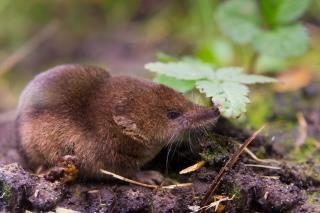 Nature reports shrews also shrink other parts of their bodies, including their spine, heart, lungs, and spleen. Their brain mass drops by 20% to 30%, and overall body mass can shrink by more than 17% during the winter, according to the Guardian. As Gizmodo puts it, it's "obviously awesome and weird as hell." HRC has been doing that for years and years. And every year she looks even more horrendous. I saw the words 'shrew' and 'bizarre' and thought the article was about Hillary.